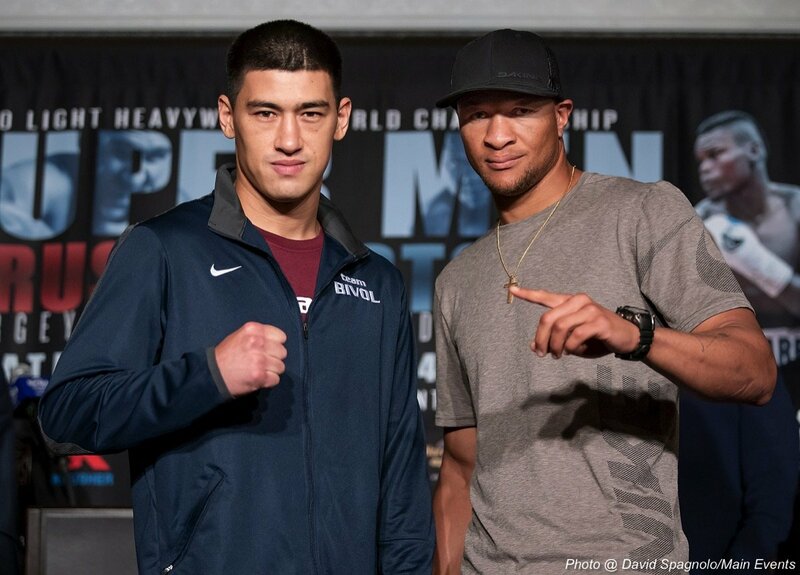 WBA Light Heavyweight World Champion Dmitry Bivol (13-0, 11 KOs) of Russia faces a title defense against light heavyweight contender Isaac “Golden Boy” Chilemba (25-5-2, 10 KOs) of Malawi. Bivol and Chilemba will fight in the co-main event on the Sergey “Krusher” Kovalev vs. Eleider “Storm” Alvarez card at the Hard Rock Hotel & Casino Atlantic City on Saturday, August 4. The doubleheader will be televised live on HBO World Championship Boxing beginning at 10:00 p.m. ET/PT. Bivol is a strong light heavyweight who has wasted little time with his opposition thus far. He has legitimate power in both hands, a strong jab and unleashes vicious combinations. Chilemba is a highly skilled technical fighter with plenty of experience. He has incredible endurance and great defense. He uses his jab well and is very accurate with all his punches. 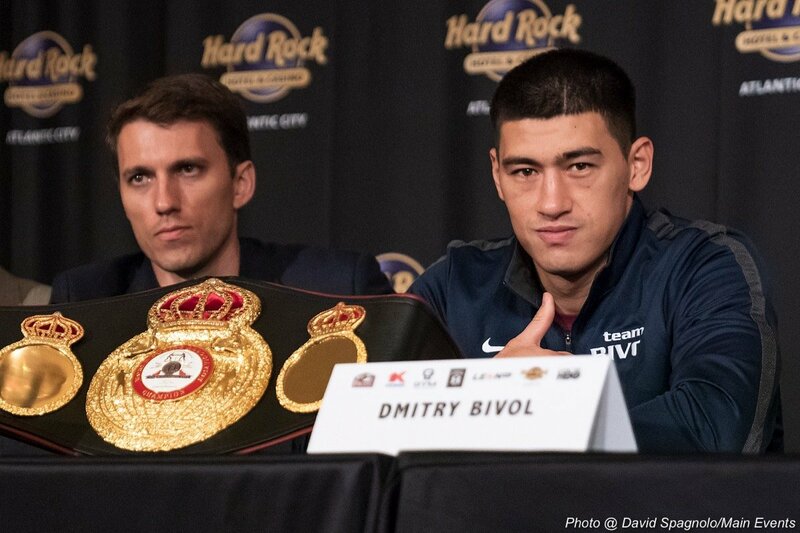 Although he’s the current WBA Light Heavyweight champion, Bivol only has 13 professional bouts under his belt. This is something that may play a part against his experienced opponent. Chilemba lacks significant punching power in either hand. He has only recorded one knockout victory since 2011. He has been inactive, only fighting once in the past 22 months. Bivol will be at a disadvantage. His most recent win over Sullivan Barrera came against his most impressive opponent thus far. Chilemba has been in the ring with some of the best men the light heavyweight division has to offer. Chilemba has faced top opposition throughout his career, including Tony Bellew, Sergey Kovalev, Eleider Alvarez and more. He is coming in with more than double the number of professional bouts under his belt than his opponent. Bivol has raw and legitimate power in his punches. He has a powerful jab that he snaps all night, and anything that follows his jab can end the night in an instant. Chilemba will be at a disadvantage. He’s recorded just one knockout win in his last 12 bouts. However, what he lacks in power he makes up for in timing and accuracy. The WBA titleholder has quick hands and does a superb job of beating his opponents to the punch with uncanny timing. Chilemba is quick on his feet and has tremendous body movement, which is a reason why he can be difficult to hit at times. Bivol proved in his most recent bout he could dig deep in the championship rounds when he earned a stoppage win in the 12th and final round against Sullivan Barrera. Chilemba has proven time and time again his gas tank is just as deep as anyone’s. He has gone a full 12-rounds on 11 separate occasions, including his most recent bout, a UD win over former title contender Blake Caparello. Bivol’s aggressive, in-your-face style has allowed him to perfect his accurate punching. He likes to close in on his opponents, leaving them little room to run. Chilemba is a very accurate puncher. He picks his shots wisely and times his punches well. He is also an effective counter-puncher, which should help considering his opponent’s usual high punch output. Isaac Chilemba will be the most technically skilled boxer the champion has faced in his young career. This fight will help determine the level of Bivol’s defense. Chilemba will be at an advantage; he has good foot work and moves around the ring very well. He is also an effective counter-puncher, which stems from his defensive skills. Bivol took some big shots in his last bout with Sullivan Barrera. He was able to weather the storm and finish the fight strong. Chilemba has proven throughout his career that he can take a punch from the best. He is one of the few fighters to have gone the distance with current light heavyweight king Sergey Kovalev. Dmitry Bivol is a very physical, in-your-face fighter. He uses his jab to the fullest and throws punches in bunches. He likes to come forward throughout the fight and smother his opponents, which has worked to perfection so far in the young champion’s career. Isaac Chilemba is a technical fighter who uses counter punching skills with an effective defense. He shows great patience in the ring in dissecting his opposition. He has demonstrated in past fights that if a slugfest breaks out, he will not hesitate to fight fire-with-fire. Bivol won a world championship in just his 12th fight as a professional. He has thrown down the gauntlet to the division since his professional debut, and there is no turning back now. He fully understands as long as he holds the WBA title, he will continue to face the best 175 pounders in the world. Chilemba will be the most experienced and accomplished contender he has faced to date. Throughout his career, Isaac Chilemba has never turned down a fight. He understands in order to achieve goals in this sport, you need to fight the best when those fights are offered to you. Chilemba has consistently fought the best. Now he has the chance to seize this opportunity to win a title. This fight will mark the fifth undefeated fighter he has faced in his previous six bouts. Dmitry Bivol should have significant crowd support. He gained new fans and put himself on the division map in his most recent TKO win over Sullivan Barrera. Similar to his opponent, Isaac Chilemba should expect significant crowd support. He has some big wins on his resume, and has competed against some of the best fighters in the world. Will Chilemba be able to handle the power and picked shots by Bivol? 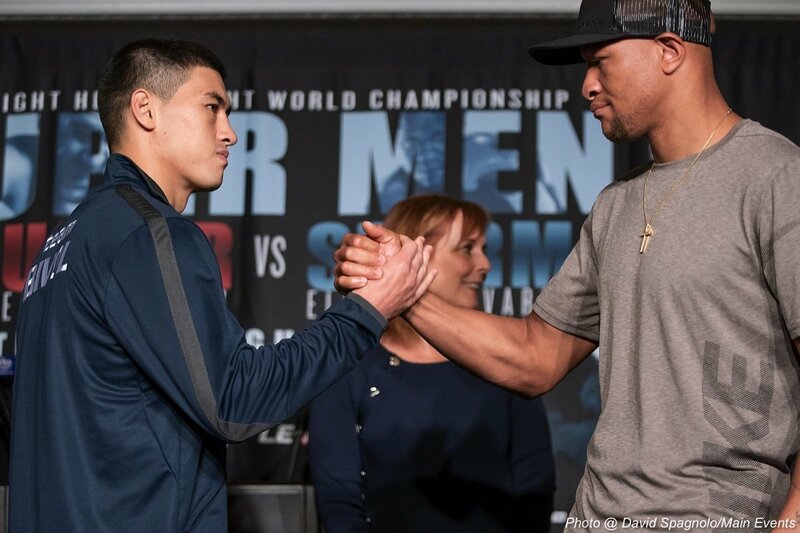 Will Bivol get frustrated with Chilemba’s tactical defense? Will Chilemba be able to rise to the occasion? 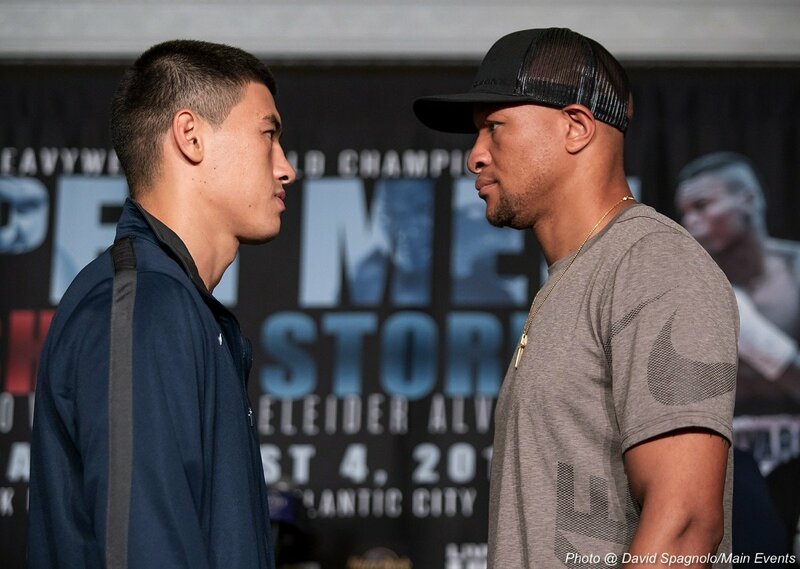 Will Bivol put his stamp in the Light Heavyweight division and stop Chilemba, whose only stoppage was due to an injury rendering him unable to continue?